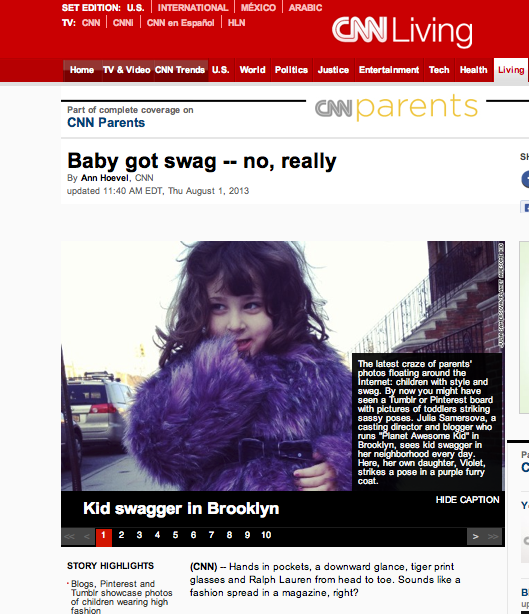 Thanks to the fabulous Ann Hoevel at CNN.com for this awesome, yet controversial piece on Kiddie Street Style. There is room for all of us. All love, no hate. It’s JUST fashion! This entry was posted in Uncategorized and tagged fabulous, kid new at cnn.